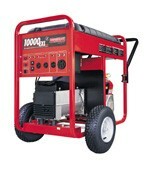 Generac Generator Propane Natural Gas Conversion Kits. Change over any Generac Generator to run on propane or natural gas. Our do-it-yourself change over kits allow you to run your Generac gasoline generator on propane, natural gas, or all three. Your engine will last longer, start better in cold weather and even start next year when you go to use it in an emergency. The best part is, with one of our do-it-yourself kits you can change your engine from gasoline to propane or natural gas all by yourself.